Legislating, like sports, is equal parts defense and offense. In sports, you can’t really celebrate a high score if the opposing team ends up scoring even more against you. Similarly, in legislating, as important as it is to write and advocate for important new laws, it is equally vital — if far less glamorous — to carefully examine legislation to find concealed flaws, bring those flaws to light, and ultimately block bills that would harm the people of Virginia. In my four years of service here, I have often played the informal role of "Caucus Goalie" — scouring the text of complicated bills that seem innocuous on their face to find dangerous policies hidden underneath. Time after time, I have jumped in front of the goal to stop an uncontested bill from flying undetected into law, flagged the hidden harm, rallied my fellow Democrats, and brought notice to a Governor who could then veto the seemingly innocuous but ultimately harmful bill. In fact, Governor Terry McAuliffe specifically mentioned my role in doing this last month. 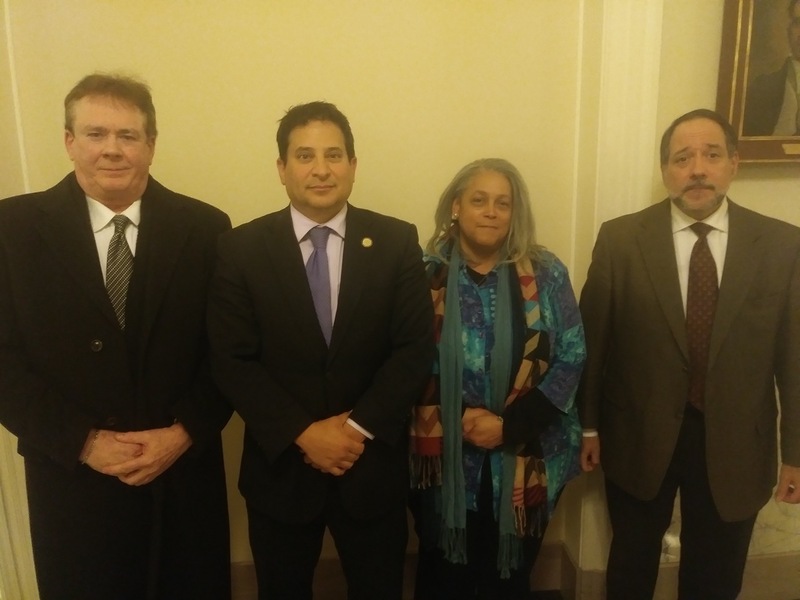 In recognition of my efforts, I'm honored that our Democratic Leader Eileen Filler-Corn has appointed me as Deputy Whip to the Caucus to make sure that our colleagues don't miss bad bills before they go to committee or subcommittee. In addition, she also appointed me as the Committee Whip of the Militia, Police, and Public Safety (MPPS) Committee. This is the important committee that oversees all of Virginia's gun legislation (as well as other matters). Essentially I am tasked with reviewing every single bill that is assigned to the MPPS Committee and to flag the bad ones — anything that might need a second review due to a particular clause hidden deep in the text, or has an aspect that on its own might seem harmless but in reality has serious policy implications. And as Deputy Whip, I oversee the Committee "flagging" work of my fellow Democratic Committee Whips. It's a tremendous honor, and I'm not overlooking the serious responsibility this new challenge entails! My goal is to never miss anything. But as always, I value my wise constituents who can and often do help me out to make sure I don't miss anything. So if you know of a bad gun bill or any other bad bill, please email me to explain exactly what is bad about the bill. If you have the eagle eye to spot a hidden element on a specific line of the bill, that's even better! Please help me play defense. I will always try my best, but it's always better to have more eyes on bills than just mine, particularly as we will go through more than 1,000 bills in fewer than three weeks. If you write me about a bill in a committee I oversee, you're not just helping me be a better delegate. You're helping the Virginia House Democrats be a better caucus! I'm proud to stand with my friend, Delegate Eileen Filler-Corn, the new Democratic minority leader and the first woman to lead a legislative caucus in the 400-year history of the Virginia General Assembly. This week I finalized my legislative agenda, submitted the final pieces of legislation allotted, and presented two bills to subcommittees. During short sessions (which occur in odd-numbered years), delegates are limited to introducing 15 bills, although constitutional amendments and commending resolutions don't count toward the limit. 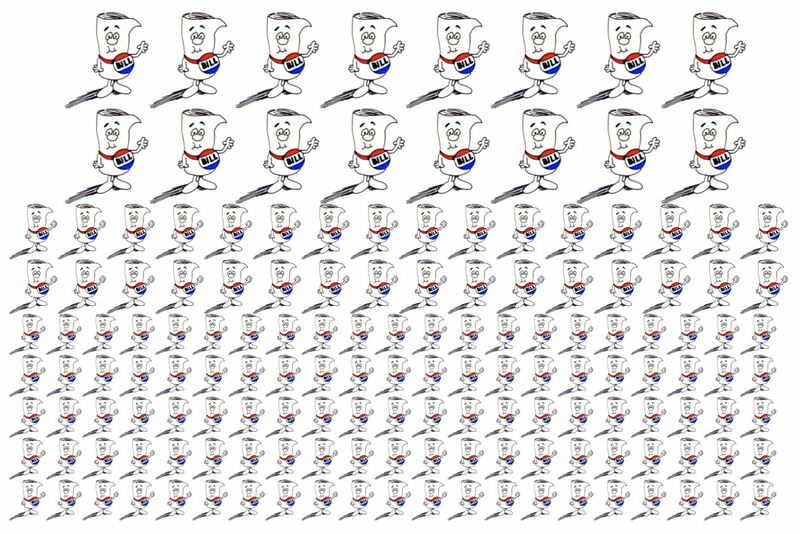 Every year, I have far more than 15 bills that I would like to introduce. So I had to ensure we picked the very best! Many of the bills I introduced this year were inspired by ideas brought to me by constituents. 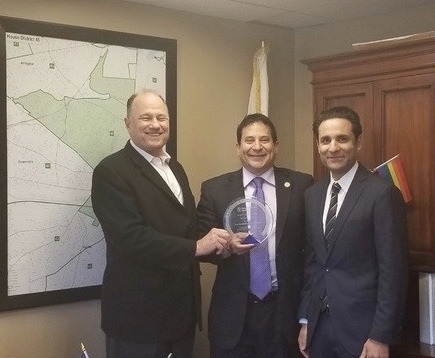 It's such a privilege to work to put your opinions, concerns, and priorities into legislation. This week I presented two of my bills before Courts of Justice subcommittees. As Founder and Chair of the Virginia Transparency Caucus, I made a commitment my Freshman year to share video of all of the proceedings on my bills, and I provide those below. 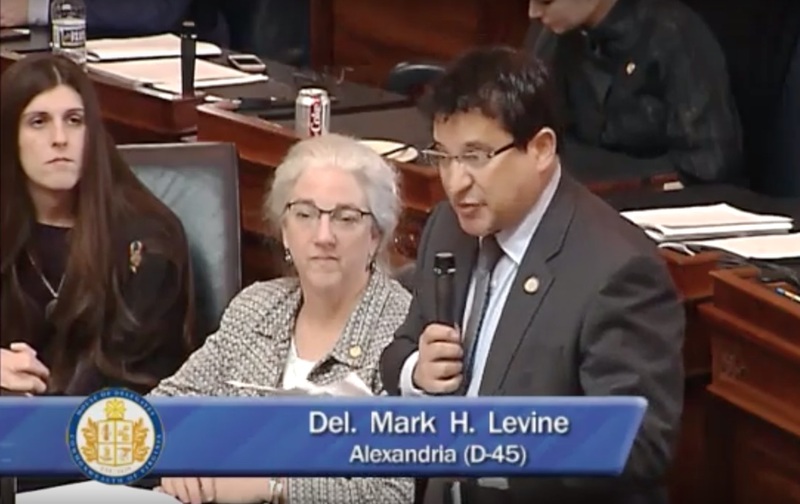 On Wednesday I presented HB2430, which would allow Alzheimer's and other mentally incapacitated people to have visits from family members and other loved ones, unless good cause is shown to prevent these visits. Most importantly, this bill would prevent abusive guardians from withholding family contact for financial gain. Under current law, Virginia guardians have tremendous power to keep loved ones apart, profit from their cruelty by charging fees for visitation, and keep Alzheimer's patients in isolation, hastening their decline. But once my bill becomes law, family members and other loved ones will have an automatic right to visit their family: instead of having to spend hundreds of thousands of dollars to see the ones they love, the burden would be on guardians to keep families split apart and could no longer be exercised in bad faith. 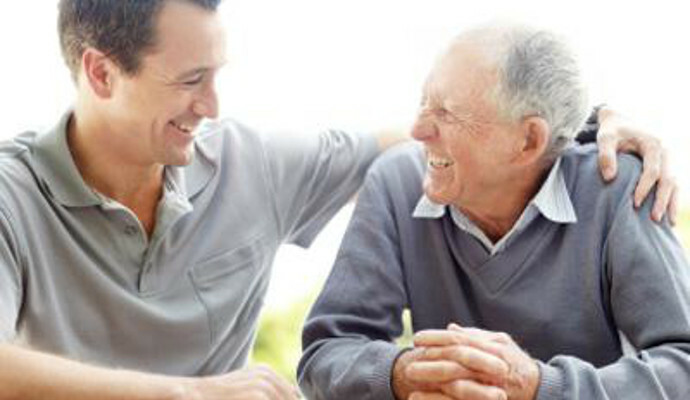 to stop abusive guardians from separating families from their loved ones who suffer from Alzheimer's. I'm pleased to report the Courts of Justice Subcommittee passed the bill by a vote of 5-1, and I expect it will go before the full Courts of Justice Committee next week. You can watch the full HB2430 presentation here. 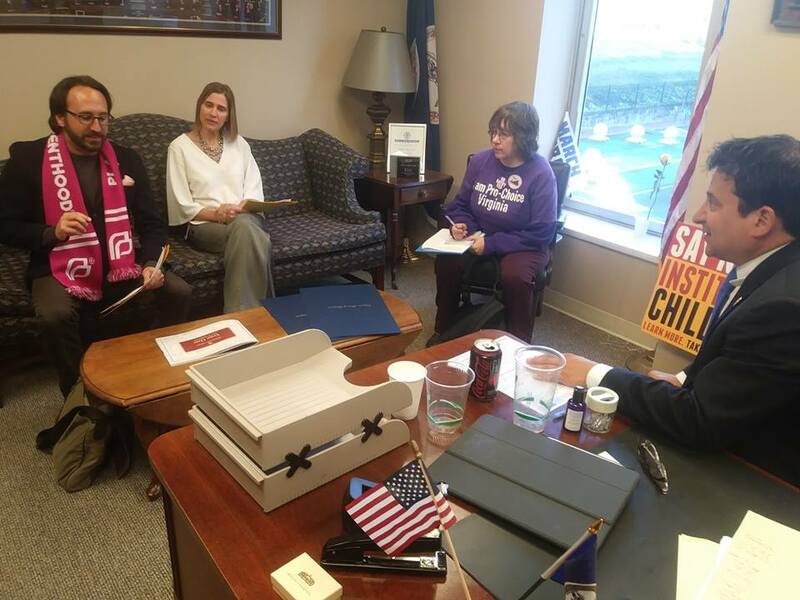 On Friday afternoon in front of a standing-room-only gathering, I stood with advocates from the Virginia Poverty Law Center, the Action Alliance, and Hanover Safe Place, to defend a bill — supported by Commonwealth Attorneys and criminal-defense counsel alike — to ease the process of seeking civil protective orders in cases involving a related criminal action. 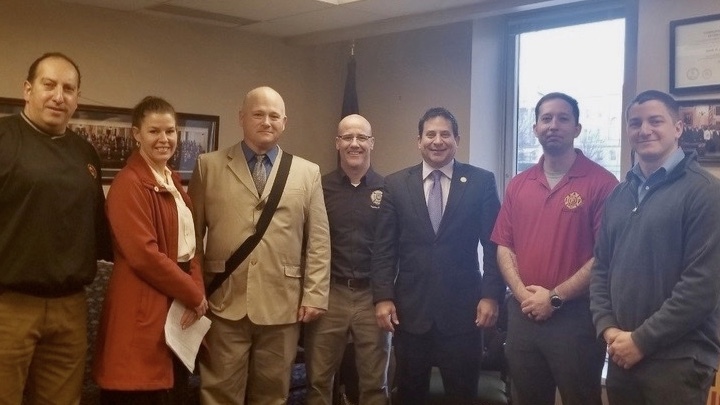 The bill would allow a court to set the hearing on a protective order to be heard on the same date as a hearing or trial for a related criminal matter. This is the practice already in more than 99% of cases. Codifying the practice would not only promote judicial efficiency; it would save both the person seeking the protective order and the defendant from wasting substantial funds hiring lawyers for a hearing that everyone knows will be continued and losing days from work to attend civil hearings that are virtually always continued to the criminal-hearing date. It also means that victims don't have to bring witnesses and prepare for the emotional trauma of confronting their abusers only to have their cases put off for two months. The Subcommittee voted to table the bill. But it is my hope, working on a bipartisan basis with minor amendments to improve the notice provisions, that we can bring the bill back next week. You can see the full HB2429 presentation here. 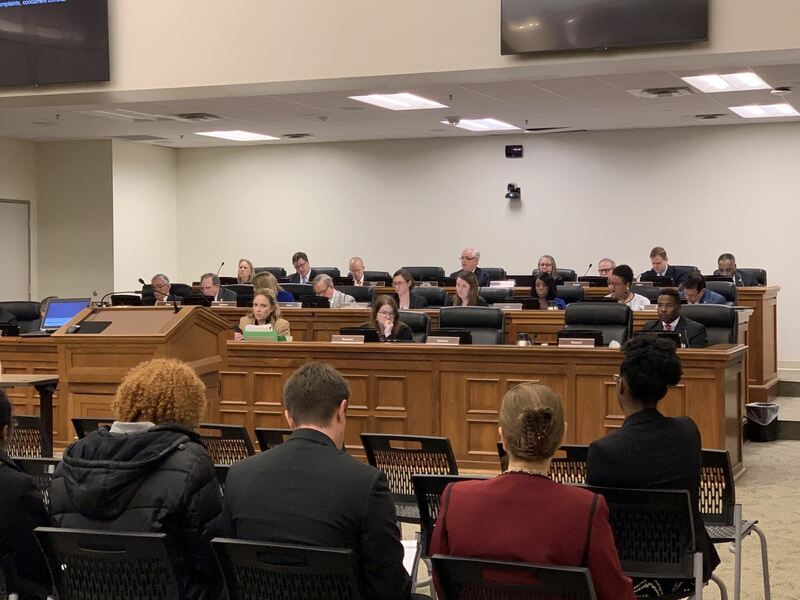 Defending HB2429, a bill to help victims seeking protective orders and that rare criminal bill supported by victims-rights advocates, Commonwealth Attorneys, Defense Counsel, and the Judiciary alike. I have filed 15 bills (and one Constitutional Amendment and three budget amendments) but have only presented two bills so far. This means the other 13 bills, Constitutional Amendment, and budget amendments will need to be presented over the next 10 Session days and work their way through various subcommittees, committees, and, hopefully, the Floor. It will be a very busy two weeks for my team and me, the busiest two weeks of the year. Virginia is the only state that prohibits a sitting Governor from seeking re-election. If we like our Governor, why not allow the voters to give him or her a second term? HJ672 would amend the Virginia Constitution to permit the Governor of Virginia to be re-elected and to serve two consecutive terms. It will go before the Privileges & Elections Subcommittee on Monday afternoon. Many of you know and remember this bill, as it is one of only two that I have introduced every Session that I have served in the House. Tyler's Law would allow courts to consider domestic violence and child abuse in determining the best interests of children in custody disputes. It passed Subcommittee last year and the year before but didn't quite make it. We're hopeful it will pass into law this Session. I will present it before the Courts of Justice Subcommittee on Monday afternoon. This week I filed the last of the 15 bills I was allowed to file. lawyers rummaged through the already recounted ballot boxes that they had formally agreed had been fairly counted and found a weird overvote, where the voter had chosen both the Democrat and Republican Delegates. And even though both sides had previously agreed this ballot couldn't be legally counted, the Republicans — after learning Shelly had won by one vote — changed their minds and decided to belatedly submit the flawed ballot to the recount court. Even though current law requires "only one redetermination of the vote in each precinct," the judges (including at least one judge chosen by the Republican delegate at issue) felt that the statute was vague enough to allow the same ballot to be redetermined twice. Counting this disputed ballot made the race a tie, which was then determined by lot by picking film canisters out of a bowl. 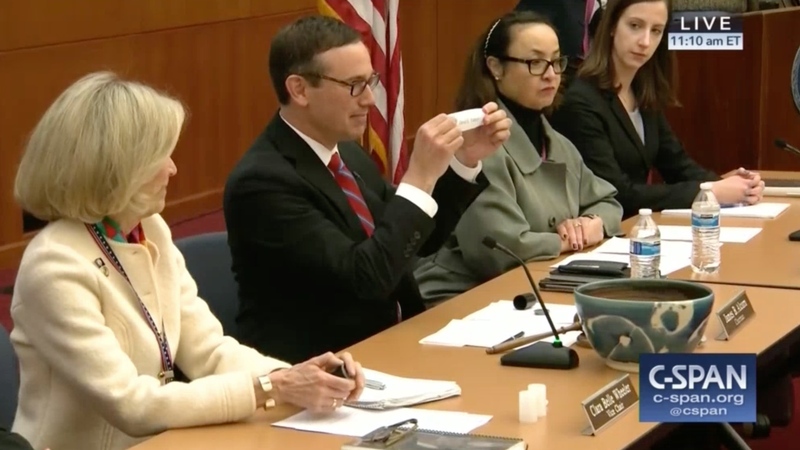 The Board of Elections picked the canister with the Republican Delegate's name on it. And this is why Shelly Simonds, who legitimately won her election by one vote, is sadly not in the Chamber with us this Session. It is why the Republicans maintain their slim 51-49 majority. It is the reason why they can keep so many subcommittees at a 4-2 ratio, even though they no longer control 2/3 of the chamber and even though 55% of Virginians chose Democrats over Republicans in 2017. It is the reason so many good progressive bills cannot get to the House Floor to be passed. who controls the Virginia House of Delegates by picking names out of a bowl. When the Republican name was picked, Democrats became a minority. I strongly believe we should have integrity in our elections process and not have elections decided by crafty legal gamesmanship. I introduced my final bill in the 2019 Session to firmly clarify in recount procedures that no candidate from either party should be able to game the system and unseal previously sealed boxes during a recount to "find" more votes. If this bill becomes law, it would make clear that any concerns someone has with a vote must be addressed at the time the vote is recounted and not at a later time when it might serve some candidate politically. You might wonder why I didn't introduce any gun bills this Session. Last year, I introduced five gun bills, more than any other legislator, and the bills all died at the hands of the Republican majority, along with the 64 other gun bills introduced by Democrats. This year, with the 15-bill limitation, I gave my gun bills away to other delegates and senators to take them up so I could introduce the unique matters described above. 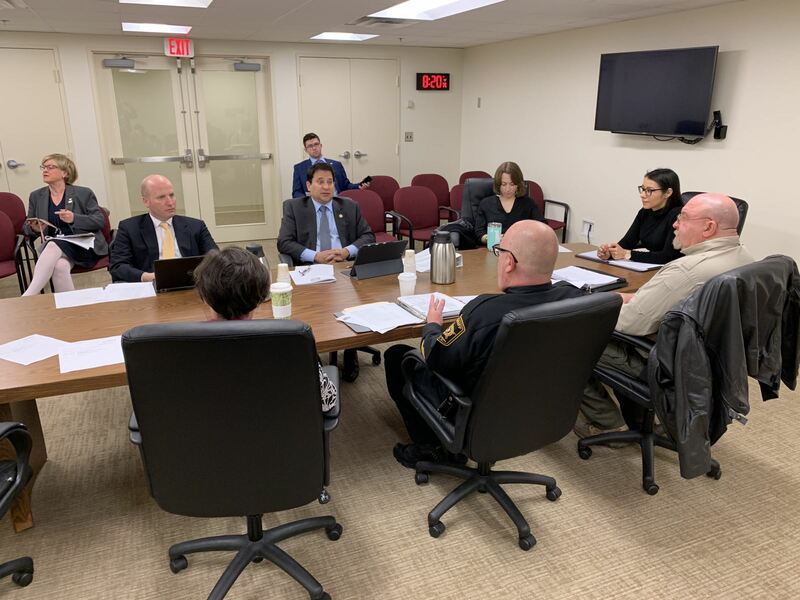 During Thursday afternoon's Militia, Police, and Public Safety Subcommittee meeting, all of the common-sense gun laws Democrats presented were killed on a party-line 4-2 vote. But I copatroned the following seven bills quickly, to show my support before the Republicans could kill them. HB 1763 Firearms; removal from persons posing substantial risk of injury to himself, etc., penalties. HB 1856 Firearms; libraries owned or operated by localities. HB 2244 Firearms; possession or transportation following convictions for certain misdemeanor crimes. HB 2492 Firearms magazines and firearms, certain; penalties, prohibition of sale, transfer, etc. 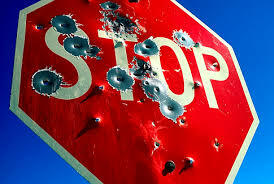 SB 1008 Firearms; mechanical devices designed to increase rate of fire, penalty. And I chief co-patroned the bill I introduced last year to allow localities to ban firearms at protests. HB 1956 Firearms, etc. ; permitted events. This is why we need to carry the Blue Wave into the 2019 elections so Democrats can take the House. 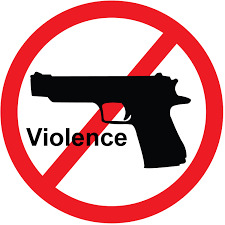 No restriction on gun violence will even be taken seriously until we do! I've Co-Patroned 158 Bills (So Far). Because I cannot possibly introduce a bill on every item I want to see changed in the Commonwealth, I often co-patron my colleagues' bills. 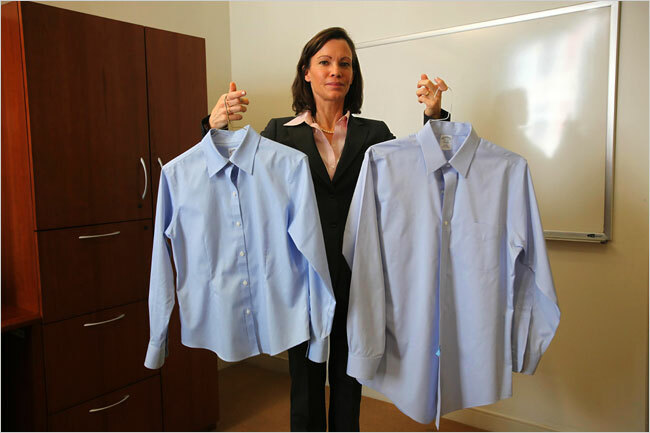 This shows my support for the concept behind these bills and prevents duplication of effort. I have thus far co-patroned 158 of my colleagues' bills. 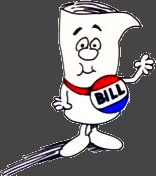 Click the little bill above for a nostalgic rendition of "I'm Just a Bill" (Schoolhouse Rock). On five bills I was Chief Co-patron. This designation is given to bills I have introduced in the past carried this year by a different patron. They range from the "firearms at protests" bill I described above, to my bill to decriminalize marijuana, to another version of my domestic violence/custody bill (the exact version I proposed last year). I also am chief co-patron of two of my colleagues' paid family medical leave bills. Having introduced paid family medical leave bills in 2016, 2017, and 2018—to my knowledge, I'm the first to have done so—my position on the issue is clear. So when I saw two of my colleagues wanted to introduce the bills this year, I chief co-patroned their bills and used my slots for the bills described above. Click the links below to learn more about each of the bills I've chief co-patroned. HB 2079 Marijuana; decriminalization of simple possession, penalty. co-patron by clicking here (or on one of the 153 bills depicted below). And, to be complete, here are my budget amendments. Just Two Weeks Until Crossover! We only have TWO WEEKS to shepherd all of my 15 bills, my constitutional amendment, and my budget amendments through the House of Delegates. 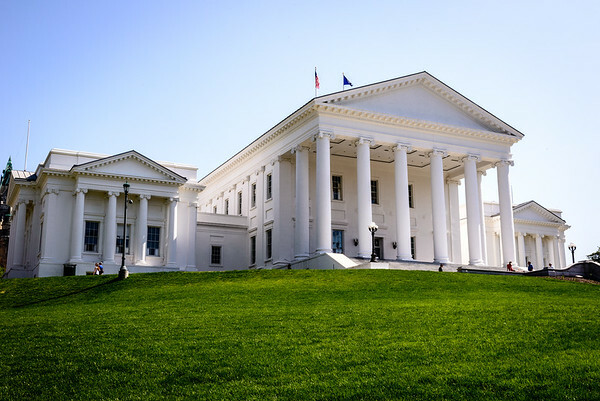 During that time, the Virginia House of Delegates will consider more than 1000 bills, plus proposals for constitutional amendments, budget amendments, and other resolutions. By February 1, every single bill must pass the committees of the House of Delegates or die. Then on Monday and Tuesday, February 4 or 5, we will have a "votearama" where we will consider hundreds of pieces of legislation. By midnight, February 5, every bill that does not pass the House of Delegates dies. We then consider the budget and bills that passed the Senate from February 6 to February 23. So the next two weeks will be a very busy time! Please understand if we are a bit slow responding to your emails or if I'm out of the office when you call or visit. I do read every single email and listen to every phone message sent to me prior to casting a vote on a bill. So if you have an opinion, let me know it. Your voice will be heard, even if it takes us some time to respond to you. (While I personally respond to every email sent to me during session, I often don't get to the very last one until late Spring.) If you want me to vote a certain way this year, tell me! On the left-hand column of this email, you can find the contact information for my Richmond office. Do not hesitate to reach out and make your voice heard. You can also personally tell me your views on pending legislation THIS AFTERNOON, January 20, at my regular Mark's Monthly Meetup held at Los Tios Restaurant in Del Ray. 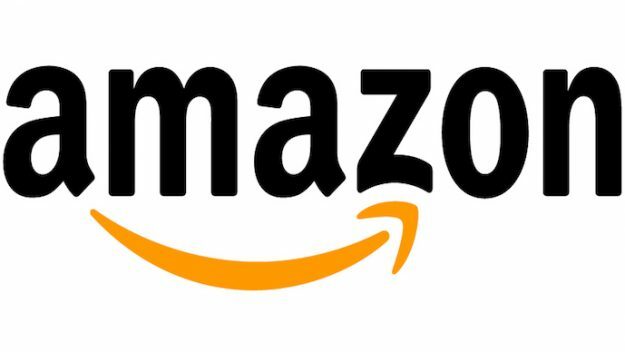 It will be at a special time (4:30 - 6:30 pm) to allow folks to also attend the Amazon town hall occurring that same afternoon. At the Monthly Meetup, I will also let you know the progress of the individual parts of my 2019 Legislative Agenda. But you don't have to attend Mark's Monthly Meetup to know what's happening in Richmond. Every Sunday until the final end of Session wrap up newsletter on February 24, I will let you know all the many sundry things — the good, the bad, and the ugly — that happened during the week. Just check your email. I'm under no illusions about how challenging it will be to pass some of these bills in our Republican-led General Assembly, but that will not stop me from making the case and standing up for our shared values. And of course, as the Founder of the Virginia Transparency Caucus, I have pledged to record every discussion and vote on every bill that I present on the floor or in a committee or subcommittee. I will post all video in the weekly newsletter and on my Facebook and YouTube pages. 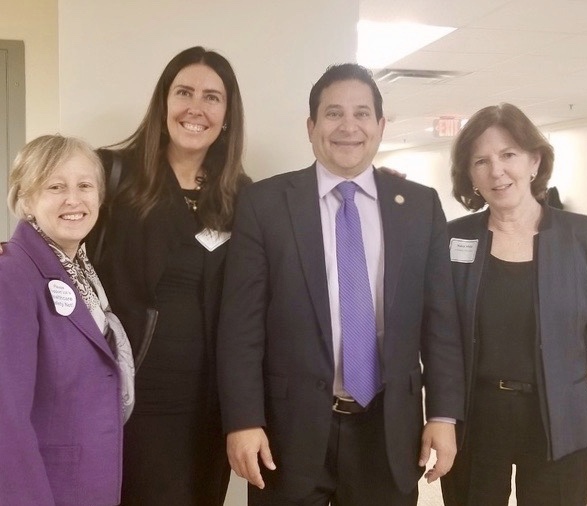 On Monday I met with colleagues from neighboring districts for the Northern Virginia Delegation Meeting. We spoke about two particularly important issues: Amazon and the Shutdown, and the effect each has on you. Be sure to attend the Amazon HQ2 Town Hall this afternoon as we discuss the deal and what it means for you. Then join me immediately after for Mark's Monthly Meetup to debrief from that meeting and hear about everything else going on at the General Assembly this week and next. This is your personal opportunity to ask any questions you might have or urge me to support or oppose any particular bill. As I mentioned last week, I reached out to the Virginia Commissioner who runs the Department of Social Services to make sure that folks on SNAP don't starve during the Federal shutdown. I've been promoting strategies to help make sure Virginia steps in when the Federal Government does not. 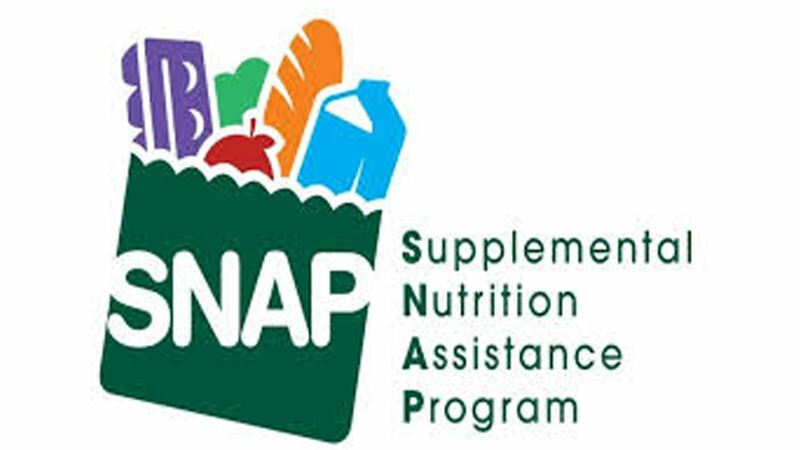 Both SNAP and Women, Infants, and Children (WIC) are funded through the end of February. But even if this shutdown — already the longest in United States history — continues into March, I will work to ensure Virginia protects those in need who rely on services from the Federal Government. At least 66,000 Virginians are affected by the Federal Government shutdown. If that's not you, it's almost certainly your family, friends, and neighbors. Thank you for sharing your stories with me about the struggle you are enduring. I shared some of your stories on the Floor of the House of Delegates this week. You can click the thumbnail below to watch the full 6 minute speech. Sharing the stories of constituents harmed by the shut down. You deserve better. We all do. There are resources available to help you and others who are furloughed or working without pay. The Northern Virginia Regional Commission has resources available. 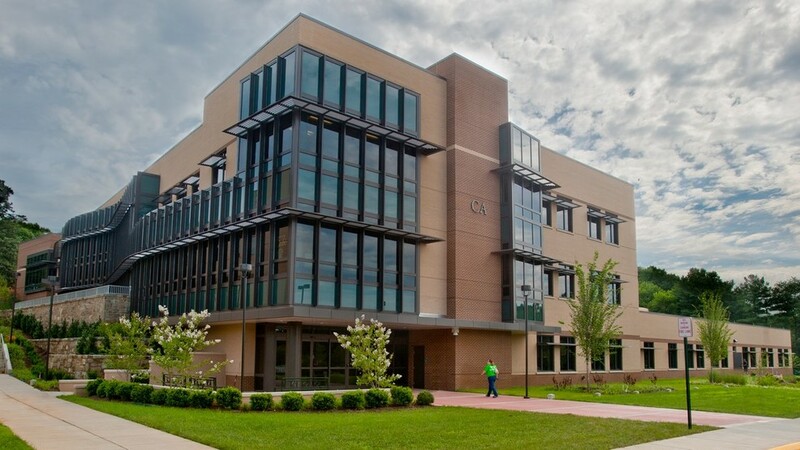 Northern Virginia Community College has also set in motion a program to address both the shorter-term and longer-term needs arising from the shutdown. I applaud what they are doing to help educate federal workers (at no cost) who suddenly have more time on their hands than they wish they had. Click here to find out more. NVCC is offering free classes to furloughed federal workers. Finally, you shouldn't ever need to worry about your power being turned off. Dominion is doing their part to help those who are furloughed. 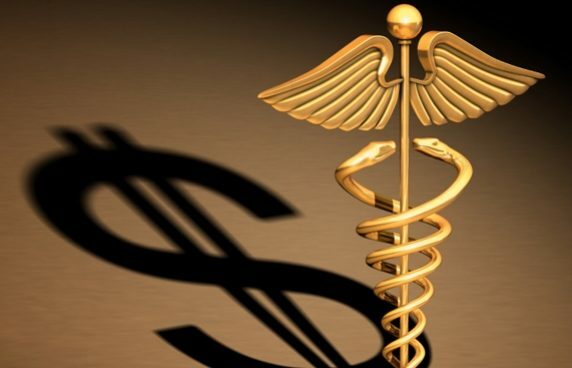 The company is offering payment extensions, long-term payment plans, bill payment assistance, and budget billing options. You can find out more by going to their website or calling them directly at (866) 366-4357. My time at the General Assembly during Session isn't limited to just working with advocates to get my bills passed. It's also my job to review bills coming before the Militia, Police, & Public Safety Committee (which I also serve as Democratic Committee Whip) and the Health, Wellness, and Institutions Committee (which I oversee as Deputy Whip). I've had many gun bills in the past, and I have three bills directly targeting transparency in healthcare this year, described above. Reviewing notes sitting on the full Health, Welfare, and Institutions Committee. I'm in the second row on the far right. It's a bit hard to see me in the picture, as my head is down while I'm hard at work. We focused on long-term energy solutions at the Virginia Environment and Renewable Energy Caucus this week. I also explained my Animal Cruelty Leads to Human Violence bill (HB2642) at the Animal Rights Caucus. 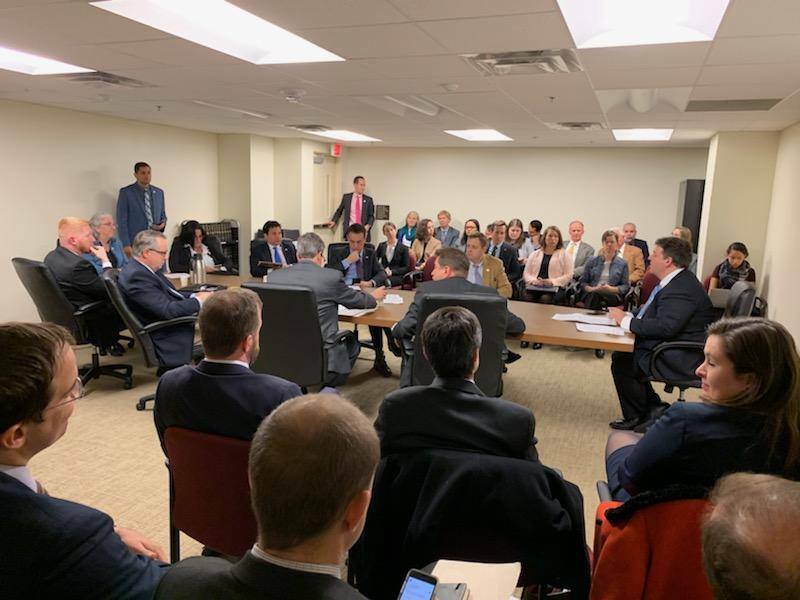 Virginia Environment and Renewable Energy Caucus (VERE) meeting of the 2019 Session! my bill making it a felony to use cruelty toward animals as a means to terrorize or threaten people. 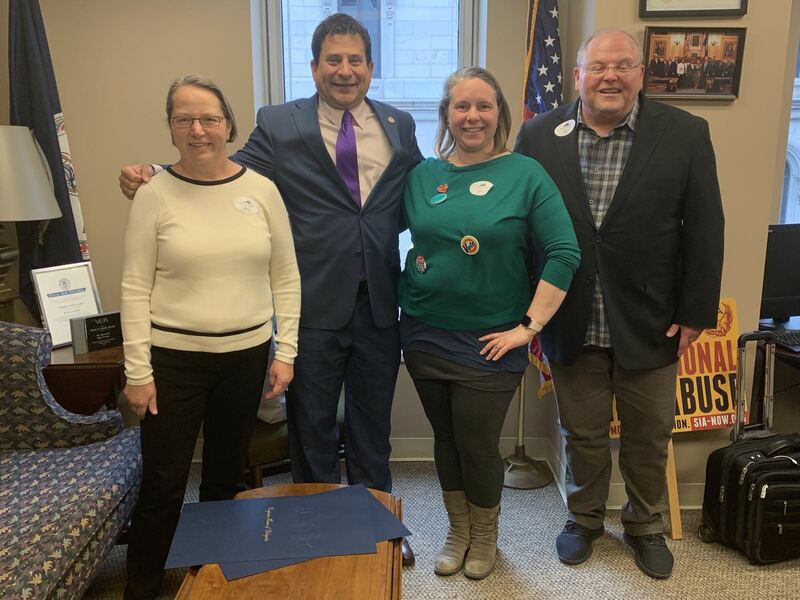 No matter how busy it gets, it's always really important to me to chat with each of you who stop by my office, whether you're advocating on behalf of a particular cause or a constituent stopping in to say hello. Representing each of you — and the issues that are so important to you — is what makes me love what I do. in recognition of my vote and work for Medicaid Expansion. Representatives from the Arlington Free Clinic visited. We discussed the need for a healthcare safety net. Thank you for your hard work and tenacity in the fight for such an important cause! Thank you to all the brave officers for their service. Fox has continued to broadcast my views live during session. We tape from the Capitol. This is the green screen I sit in front of, while the TV viewer sees a stock image behind me.